"Guardians of the Galaxy Vol. 2" is currently beating "Wonder Woman" at the box office — but only by about $6 million. Technically the summer box office season isn't over until Labor Day weekend — but industry analysts already expect "Wonder Woman" to come out on top. As of Monday, the top-grossing film in North American theaters this summer is still "Guardians of the Galaxy Vol. 2." Yet, it's only edging out the Gal Gadot flick by roughly $6 million. Both are still playing, but since Labor Day is still over a month away, "Wonder Woman" will most likely pass the Marvel film by then. Since debuting in June, "Wonder Woman" has held steady at the box office — the last superhero movie to stay this strong in theaters was when Tobey Maguire first starred as Spider-Man in 2002. Essentially that means box office earnings for "Wonder Woman" haven't dropped dramatically from weekend to weekend. That's unlike this summer's "Spider-Man: Homecoming," which saw a 61 percent decline in box office revenue in its second weekend out. 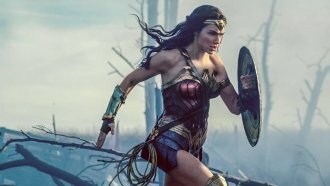 And yet-to-be released summer films, like "The Dark Tower," "Atomic Blonde," "Valerian and the City of a Thousand Planets" and "Dunkirk" aren't predicted to gross anywhere near the domestic total of "Wonder Woman." And the DC Comics film should be able to add some other impressive milestones to its list of achievements by the end of its run. It's expected to edge out "Harry Potter and the Deathly Hallows: Part 2" to become Warner Bros.' third highest-domestic-grossing movie of all time. And beating out "Guardians" would also make "Wonder Woman" the eighth highest-grossing superhero film ever in North America.